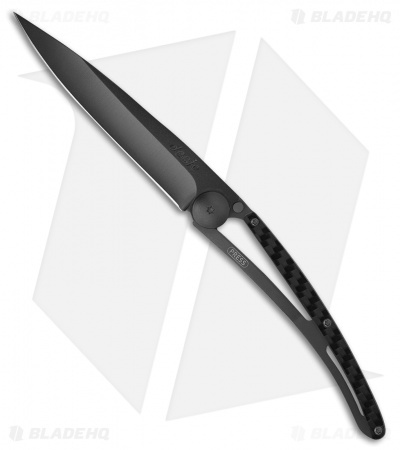 This 37g folding knife features a black finished blade and has a Carbon Fiber handle slab. The Deejo folder has everything essential in a pocket knife: sharp blade, locking system, and pocket clip. Its unique handle design incorporates a stainless steel frame with a liner lock tab and a tip-down carry pocket clip. The Deejo is the epitome of minimalist knives and ready for both daily use and outdoor adventures!